Another day of watching as employees take extended breaks outside of your Cambridge business, but what can you do without spending a bunch of money or dealing with the backlash of cracking down on them? 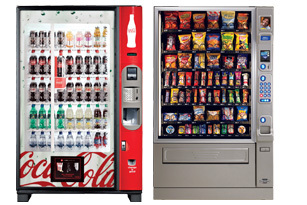 Let American Food & Vending “hook you up” at no cost with vending machines filled with their favorite food and beverages! Your Cambridge business can have vending machines with products from Coca Cola or Pepsi, snack vending machines, candy vending machines, coffee vending machines, vending machines with hot or cold food choices, and vending machines loaded up with healthy alternative food and drinks. We’ll come to your Cambridge office and help you determine the best possible products and machines to fill your needs. 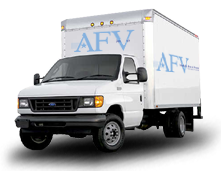 American Food & Vending delivers all the products necessary to give you the best coffee possible in your workplace. With quality equipment from Bunn and Newco, as well as the great taste of Victor coffees. Our uniformed staff will keep you stocked with coffee, cups, filters, napkins, stir sticks, creamers, sweeteners, and even options in teas and hot chocolate. Your Cambridge employees will have no reason to leave the area to go and get a quality cup of coffee. A quick cup of coffee to pick them up, and back at doing what they need to get done to make your Cambridge business successful! One of the most important components in your coffee is the water. Tap water just doesn’t cut it, and those five gallon bottles are just a hassle to deal with. They have to be stored, and lifting them up to replace them is a worker’s comp claim waiting to happen. American Food & Vending can install an in line filtration system that turns that tap water into an endless supply of great tasting water! Let’s get started on a business relationship today. Call us at (800) 553-2222. See why Cambridge Company’s have been satisfied with our products and service for over thirty years!